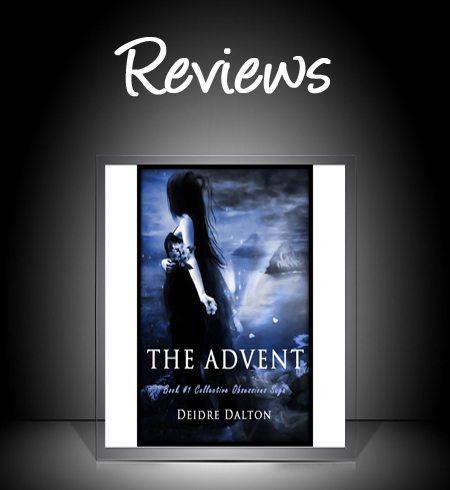 "The Advent is a classic romantic and dark fable of love. This story could be about the magnificent O'Larkins of Ireland, or a dreadful tale about the insanity of a willful young girl named Molly Larkin. But I think it is rather a story played out about the coming of a new society when Ireland lost many her of sons to the lure of America. But I enjoyed reading the story of John O'Larkin the most. After dropping the "O" from his name to insure success as an American entrepreneur, John Larkin's drive made him wealthy and successful. If one were to search his life for failures, perhaps it would be his blind devotion to his daughter Molly. From the days of his youth, the drive for success, honesty, and the self-esteem was evident. John's good judgment was evident when he picked the beautiful Colm Sullivan, off a ship from Ireland to tend his lighthouse. The author did stellar work in relating how the relationship between John Larkin and Colm Sullivan progressed into a strong friendship. Surviving shared heartache and loss both men found mutual admiration and respect. This writer has written an excellence treatise on the complicated relationships that haunted the Larkin family. The lopsided perhaps common familial dynamic of the wealthy is expanded a bit more. The great reveal is the hidden nuance of dark family secrets when the sole heir Roddy Larkin must make the "correct" choice in marriage. The maintenance of the integrity of his legacy was his alone to uphold. Well done. I wished that the story would've taken a more surprising ending. From the beginning, the outcomes of this love story seem predictable. There are no surprises. But the rich period language, editing and superbly rich characterizations makes this an enjoyable read.